Recently, I revisited a 2010 SCN blog I had written entitled The right data in the right place at the right time with desktop tools. 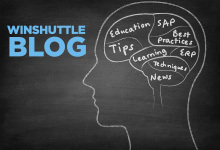 The discoveries at the time of writing, were made by a colleague of mine based on analysis of Winshuttle customers using Winshuttle Studio and Transaction to load or update business data to their SAP systems. 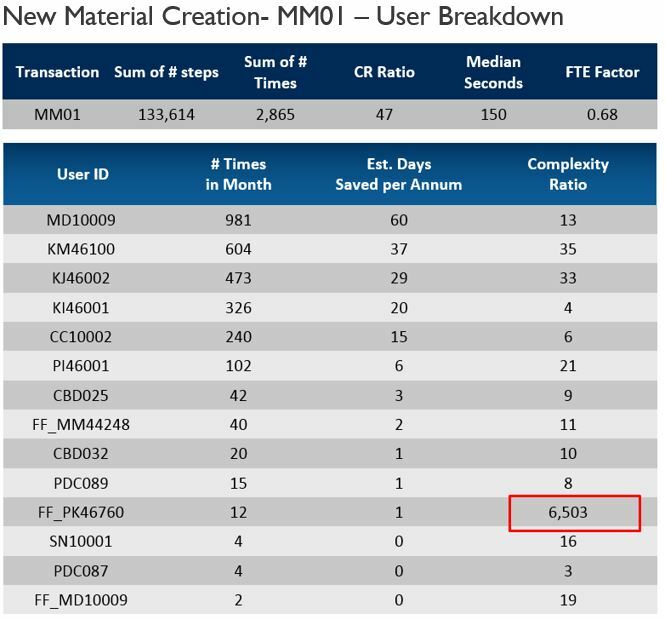 Back then I was surprised to find more than fifty transaction scenarios including a number of Z transactions. In today’s world, transactions numbering in the thousands are not uncommon at all however we also know that there is a long tail on the number of transactions that customers automate. I was particularly interested in comparing these with the latest statistics. Of course we are now able to gather information today in a more scientific way than we were before. There is more precision and a lot can change in 4 years! 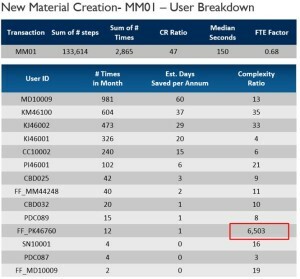 Often companies don’t realize that some transactions have a huge number of complexity! 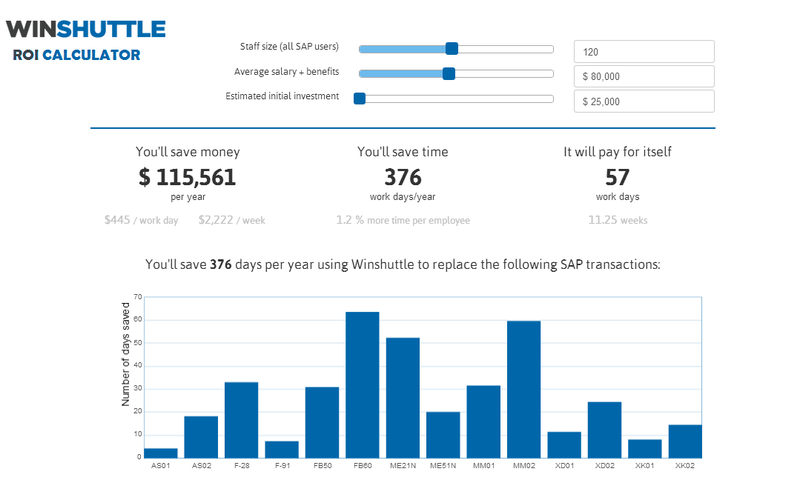 Winshuttle recently launched a refreshed Winshuttle ROI calculator. To populate results we use business data based on the real-world savings reported by more than 1000 Winshuttle users (of all sizes and from a wide variety of industries) over a period of 12 months. The end-result is designed to provide an estimate of the savings and ROI a company could generate from an investment in Winshuttle technologies. When AP Møller – Mærsk A/S took part in a Winshuttle Business Value Assessment (BVA) for their shared services operation, they were able to decrease their processing time for F-28 (Post Incoming Payment) by 135 seconds or 90 percent. Check out our Slideshare to learn more. If you’re refreshing your plans for transaction automations for 2014, taking the ROI calculator for a quick whirl may help you in making a justification for some new spend on automation. 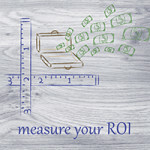 In just under 2 minutes you will have an estimate on the amount you could save. 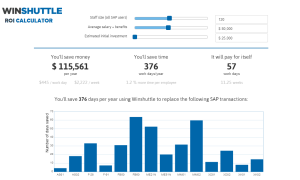 For most companies, a modest spend of just $25,000 will save much more over a year and have the investment be paid off within around 2 months (based on a user base of 120 SAP users).